When the season started and before the Edmonton Oilers went 5-1-0, every injury was a potential disaster. Losing players like Matt Hendricks, Iiro Pakarinen and Brandon Davidson meant Edmonton would have to work a little harder and get a little luckier in order to get off to a good start. It was deja vu for a team historically riddled with injuries. Cue up the third week of the season and Edmonton hasn’t just been lucky, they’ve been excellent. Late additions and players brought in as injury replacements have not only kept the team afloat but elevated the Oilers to the top of the NHL standings. Meanwhile, individual players on the cusp of regular duty have made a case to stick in the NHL over the long-haul. Just who are these unsung heroes? There are at least four current Edmonton Oilers that don’t get a lot of praise but deserve a lot of credit. Before the season started, there was a better than average chance Tyler Pitlick wouldn’t be back as an Oiler. He was often injured and couldn’t establish himself as an NHL regular. 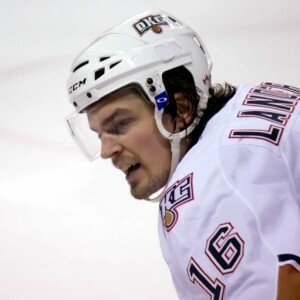 He’d fared well with the Oilers farm team in Oklahoma, but the 2016-17 season was likely the last opportunity Pitlick was going to see in the show. If he didn’t make the most of it, odds were, he was done in the orange and blue. Despite his need to impress, there wasn’t much expected from Pitlick. Edmonton was coming into the season with Jordan Eberle, Kris Versteeg, Jesse Puljujarvi and Zack Kassian on the right wing. Literally, a day before the first game of the season, the Oilers passed on some very solid options on the waiver wire and unexpectedly Kris Versteeg bolted for Calgary. Pitlick got his number called and presented an opportunity. He’s capitalized on it. Today, Pitlick has three goals to start the season and is one of the Oilers most pleasant surprises. He’s playing limited minutes, but in those minutes he’s maximizing every second. He’s been gritty, forechecks like he’s not afraid to suffer another injury and has clicked well with Anton Lander and Mark Letestu. If there is any one area of caution in Pitlick’s game, it’s that his shooting percentage is extremely high, so the likelihood he maintains this pace is next to none. That said, even at a fraction of what he’s currently offering the Oilers, he’s a fantastic value on the fourth line. 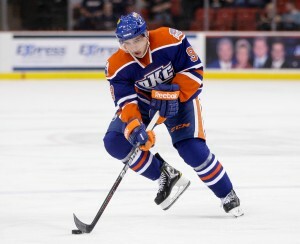 Lander was waived by the Oilers just before this year’s regular season started. Unable to earn a spot on the starting squad, he’d been given plenty of chances after a season in 2014-15 where he came up with the Oilers and showcased himself as a potential third-line center. That showcase gave Lander a long leash but he was unable to continue his strong play and over time, he wasn’t just ineffective, he was almost invisible. Lander remained in the system thanks to his faceoff and penalty-killing ability, but this season Edmonton decided that if he didn’t cut the mustard in training camp, a spot wasn’t going to be gifted to him. He didn’t do what he needed to and the Oilers waived him, potentially losing him to another NHL club. Today, Lander has taken a small window of opportunity and turned it into another chance for redemption in the NHL. He’s an amazing 62.2% in the faceoff circle and has won key draws at key times for the Oilers (56.3% in shorthanded situations). He’s played over 18 minutes of penalty kill time and he’s been effective averaging just over 10 minutes per game. Kassian was a reclamation project of sorts for the Oilers. He’d basically behaved his way out of the NHL until part way through the 2015-16 season when Edmonton gave him one final opportunity to save his hockey career. The Oilers picked him up in a trade for goaltender Ben Scrivens and Kassian was looked at merely as a no lose situation. If he didn’t overcome his demons, Edmonton understood the trade was a gamble. If Kassian turned things around, Edmonton had the type of player they’d spent years wishing they’d employed in their organization — a gritty, tough, agitator with skill. Either way, he was a low cost, lower risk player. 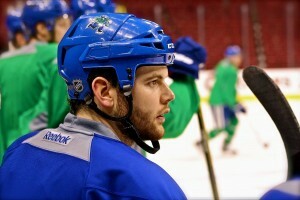 Coming into this season, Kassian signed a smaller one-year deal and got himself into the best shape of his career. He trained over the summer with UFC fighters, lost weight the result is a second-gear that he’s brought with him to game action and turned into on-ice results. He’s got two goals and two assists in six games and has been a nice addition to the Oilers second line while rookie Jesse Puljujarvi adjusts to the NHL. Russell was signed for one year and not expected to do much besides offer Edmonton a specialized skillset and play a more limited role helping move the Oilers along while the rookies got acquainted with the rigors of the NHL . He was essentially a stop-gap player. He’d come in under less than ideal circumstances. He’d sat all summer waiting for a team to bite on a decent contract, he’d become a whipping-boy for the analytic community and he was adding another left-handed to a wealth of left-handed defensemen on the Oilers depth chart. Today, he’s one of Edmonton’s best defensemen. He’s playing his off side, filling a hole on the right blue line and leading the Oilers defensive core in a number of categories. 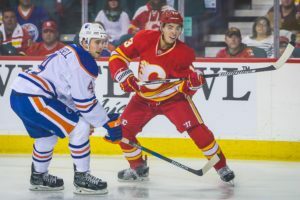 Russell is making a case that the Oilers (or any other team) should look at him for more seriously than a one-year maybe-player when his current contract ends. Related – Should Russell’s Play Make Him a Long-Term Oiler? The Oilers are 5-1-0 because a lot of things are working. Edmonton’s top line of Connor McDavid, Milan Lucic and Jordan Eberle has been their best line. In some instances, this trio is literally taking over games. Cam Talbot has turned his game around and become the type of starting goaltender a playoff team would need to employ to go deep into the post-season. Finally, Edmonton has become a stronger defensive team when over the past few seasons, defense was a clear weakness for the organization. All that said, unexpectedly, some of the biggest contributors to the Oilers success this season is thanks to players people expected very little from. The Oilers owe a lot to these type of players. In this young NHL season, they truly have been Edmonton’s unsung heroes.